Compare and contrast the various technologies used to design and create theses two buildings. Think about one as the schema, the other as the correction and write your essay from that point of view. 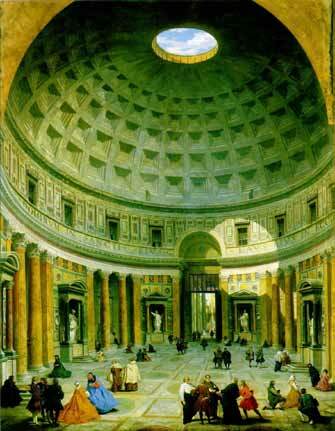 The Pantheon by Marcus and Hadrian located in Italy during 126 AD. This shows ionic pillars. Pantheons means all the gods. There are gods arranges around the dome. 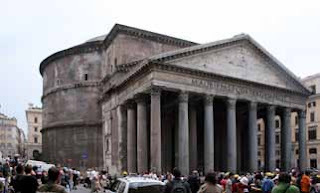 The Pantheon was made of concrete and brick and marble facade. This was a Corinthian order and the building shows perspective. 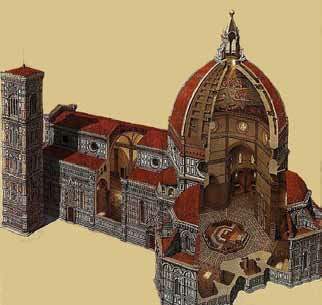 The Florence Cathedral by Arnolfo is located in Italy during the 1450-1480s. It was built using an 8 wall supporting dome inside another dome. Hi Donna this is good but the dome is the most important part and was designed by Brunneleschi in the 1420's.